On behalf of admin of JML Law, A Professional Law Corporation posted in Bicycle Accident on Friday, Oct 27 2017. You’re riding your bicycle as the wind is gently grazing your face. You’re looking forward to reaching your destination to be able to finally take off your helmet, change into home-clothes and enjoy a new episode of Game of Thrones. But some things are just never meant to happen. Some bicyclists never get to hop off the bicycle and get home in one piece, while others never get to return home alive. This was the case three years ago in Porter Ranch, Los Angeles, when a man was riding in a bike lane on Reseda Boulevard. Wearing a helmet, his bicycle’s front tire hit a patch of pavement, throwing the man from his bike onto the pavement. That patch of pavement was caused by a tree root that lifted the pavement by four (!!!) inches. The bicycle accident left the bicyclist, named William Yao, quadriplegic (paralysis of all four limbs). Just earlier this month a lawsuit filed by Mr. Yao was finally settled, with Los Angeles paying $7.5 million in compensatory and punitive damages for the devastating crash three years ago. Mr. Yao’s case is not unprecedented in Los Angeles, as the city has been slapped with a series of lawsuits that demanded costly payouts for minor and severe injuries and even deaths caused by uneven pavement lately. Prior to Mr. Yao’s bicycle accident, Los Angeles had reportedly received several complaints about this particular patch of pavement, but the city apparently failed to repair it. Reports also indicate that the road did not comply with U.S. government standards for installing bike lanes in the first place. The city’s workers merely painted white lines and surface arrow markers and placed traffic signs without actually inspecting or repairing the pavement. This is not the only time Los Angeles has been responsible for injuries and even deaths of cyclists on its roads. In fact, at least 17 lawsuits have been filed this year accusing the city of improper maintenance of its bike roads that led to bicycle accidents. Will Los Angeles address the issue and save the lives of cyclists? Although the problem of uneven pavement is not new in Los Angeles, the latest string of multi-million dollar payouts to injured bicyclists has finally gotten the attention of local authorities. Earlier this year, Los Angeles allocated nearly $25 million to fix, repair and reconstruct some of its worst roads, streets, and bike lanes. Another proposal was introduced earlier this month to remove any bike lanes or streets that are rated lower than an ‘A’. Only the time will tell whether or not the new measures have helped minimize the risk of a bicycle accident in Los Angeles. For now, the city has no other option but to pay several millions of dollars to end lawsuits from bicyclists that sustained injuries or even died after hitting uneven pavements or potholes. 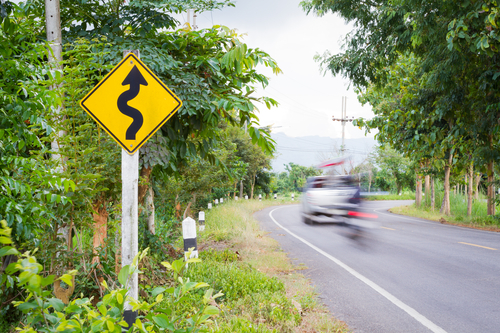 Can you sue Los Angeles for bicycle accident? Last month, LA paid $6.5 million to settle a lawsuit from a bicyclist who suffered a brain injury and broken bones after hitting a pothole. Earlier this year, the city paid $4.5 million to settle the case of a 56-year-old man who died after hitting the uneven pavement. If you have been injured in a bicycle crash due to uneven pavement, potholes or any other defects of the streets or bike lanes in Los Angeles, seek the legal advice of our Los Angeles bicycle accident attorney to obtain compensation for your injuries, losses, and damages. Call JML Law at 818-610-8800 or send us an email to get a free initial consultation.